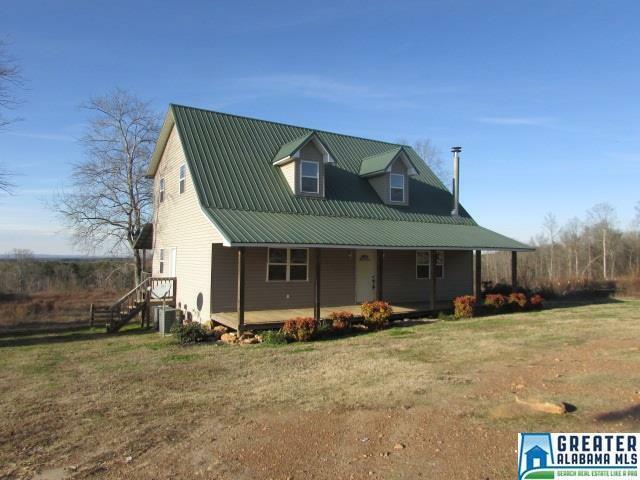 If you like country living, you should make an appointment to see this home. New updates include new interior paint throughout, new carpet, and new appliances. This three bedroom two and a half bath home features a large great room downstairs that is overlooked by a large loft area. The master is on the main level and the other two bedrooms are upstairs. There is a full bath upstairs and each bedroom as ample closet space. Downstairs features laminate flooring. A covered deck runs the length of the house for outdoor enjoyment. Driving Directions: From Wedowee. South On Hwy 431 Towards Roanoke. Turn Left At Cantrell&apos;s Store. Go To Dead End. Turn Right. Go To Dead End. Turn Left. First Home On Left.